There are 4 or 5 of you, heading off for a holiday on Spain’s wildest coast? 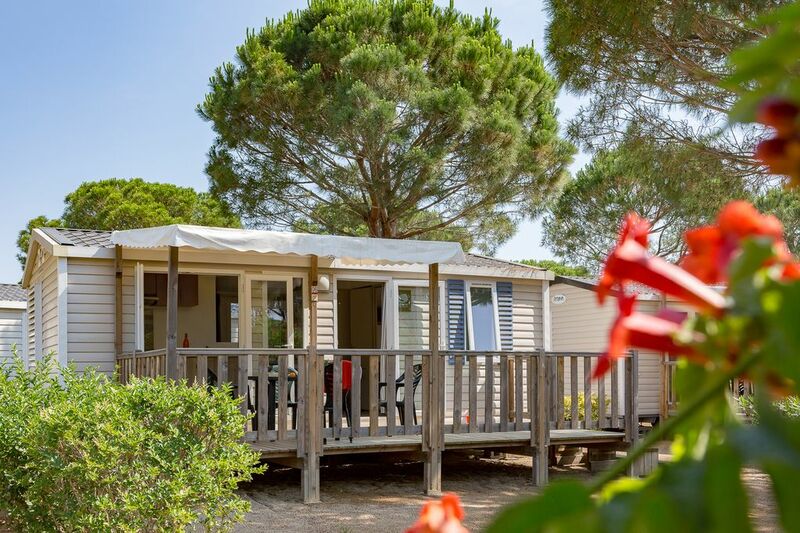 Come and discover the cleverly planned interior of our mobile home set in the shade of the pine trees. It offers 2 separate bedrooms, a convivial sitting room area and fully-equipped kitchen. Outside, whether with the family or with friends, you’ll be able to enjoy the garden area with terrace and sunloungers so you can make the most of the balmy climate. The ideal accommodation when setting out to explore the beauty of the Catalan coast!